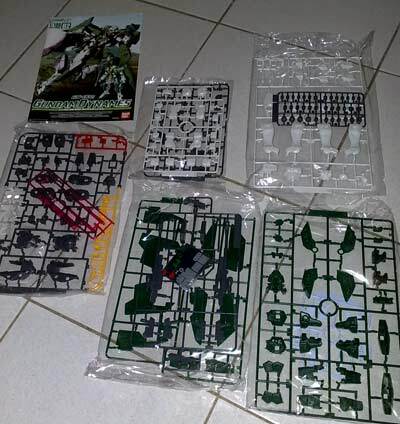 Started to build already the 1/100 Gundam Dynames flown by Lockon Stratos in the first season of Gundam 00. The Dynames is the long-range specialist of Celestial Being with the capability to hit targets from orbital distance from the ground. Of course by using a more specialized weapon package. Default weapons include the sniper rifle, two beam pistols and two beam sabers. As the series progressed the Dynames was upgraded to have a wing like shield armor that can cover majority of the frontal area. Lockon Stratos uses a rifle like controller when aiming the long range sniper rifle of the Dynames. Using this activates the gun camera on the forehead, which lowers the headpiece to cover the eyes. He is aided by a Haro robot, who takes control of the defense and piloting when Lockon is sniping at targets. 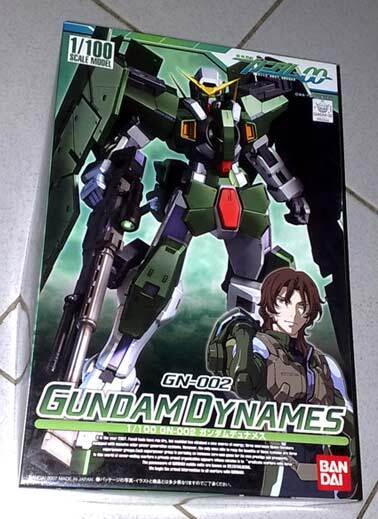 During the start of the series the Dynames was usually shown as a support Gundam for the Gundam Exia operating in melee mode. Check out part of a video at youtube showing the history and origin of the moden day infantry sniper. I for one never knew that the name "sniper" derived from the ability of the marksman to shoot the very nimble "snipe" bird during the American Revolutionary war for Independence. Below is a picture of the parts strewn out on the floor. 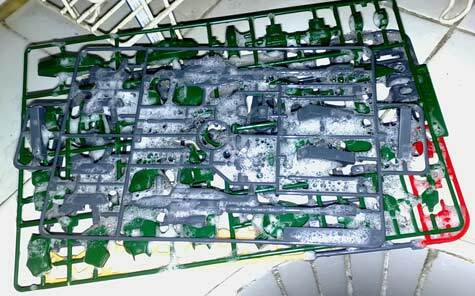 Ever since I encountered the paint stripping issue with the MG Rick Dias I made sure to prepare the parts well prior to painting. One of the countermeasures was to make sure that the parts are cleaned of any oil and dirt that could prevent the paint from sticking. This is done by washing the parts with detergent then rinsing with water. I use a plastic basin in order to save on water. 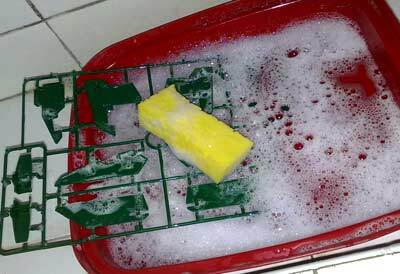 This time I used some dish washing liquid. I realized that dish washing liquid is specifically designed to remove oils (like cooking oil) which is what suits my purpose better. I usually fan the plates so that the globs of water get thrown out of the parts before leaving it out to dry in the area of the house that I've designated for painting. Then after about half an hour I come back to repeat the fanning process. I just don't like the parts to have any spots on them. I'm taking advantage of some centripetal force to throw the beads of water away from the plates *snicker*. 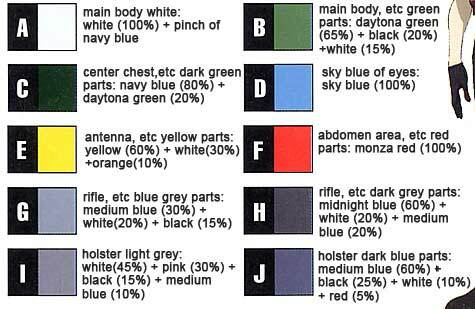 Below is the color guide for the Gundam Dynames which I had translated to English. The original color guide was taken once again from Hobby Search. Slightly back to the Gundam 00 mythos again, can't help but think that the name of Lockon Stratos was based off the popular Lancia Stratos rally car. 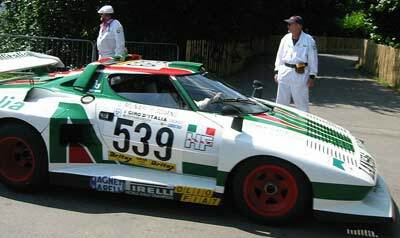 Even in the series, Lockon can be seen driving a car similar to the Lancia Stratos. I had a toy car of this growing up and really loved to play with it a lot and I also remember that this toy car always slept beside me. Part II of this build can be found here.